What is it like to start anew? From a refugee camp to a working-class neighbourhood in Kollum, Friesland. Hamida from Somalia exchanged her mud hut for a three-storey flat and can now send her children to school and learn how to read and write herself for the first time. But she has also been subject to racism and incomprehension. 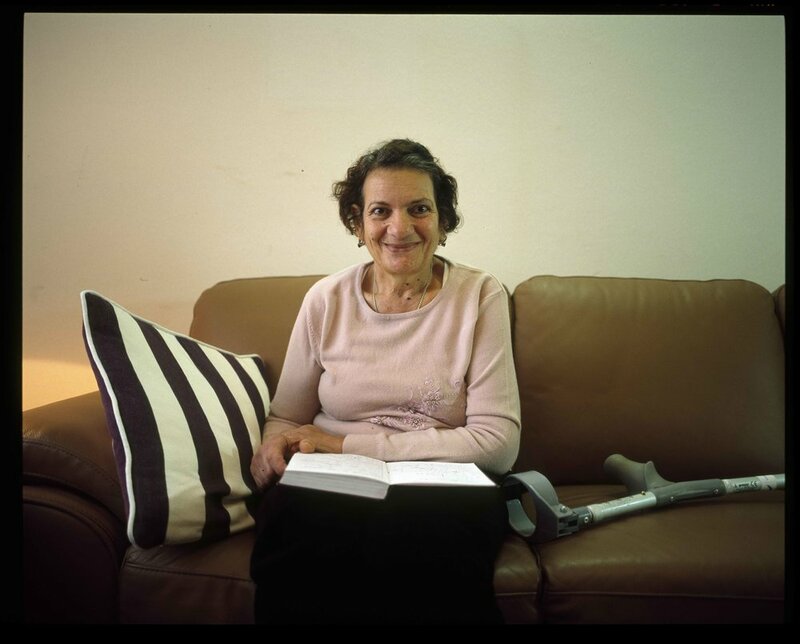 During a year and a half (2009-2010) Eefje and photographer Karijn Kakebeeke followed the selection and integration process of a special group of refugees. Vulnerable refugees from countries such as Iraq, Somalia and Ethiopia are selected by selection committees to come to the Netherlands and build up a new life here. That is a beautiful ideal, but how attainable is it in practice? In what way does the Netherlands take care of these people? And most importantly, what is it like to begin anew here? With The Refugee Jackpot, Eefje and Karijn show all the sides of the story: the opportunities, the happiness, the disappointments, the left behind lives and the (im)possibilities of the asylum policy. In cooperation with FOTODOK, they curated the exhibition at GEMAK and developed a travelling outdoor exhibition which is connected to an educational programme. From 12 February until 13 March 2011, The Refugee Jackpot was on show at GEMAK, The Hague. Prior to the opening and book presentation a conversation was held between various guests; the makers, policy makers and executives talked about the pro’s and con’s, the opportunities and disappointments of the current refugee policy and its future. To reach as many people with the story of the invited refugees and to make the work accessible for a large audience, The Refugee Jackpot travelled through the Netherlands as an outdoor exhibition in the spring of 2011. It mostly travelled to places where invited refugees live. The exhition kicked off in Amersfoort. Councilman Van ‘t Erve opened the exhibition on Thursday 21 April 2011. On 20 June, World refugee day, Minister Leers opened the exhibition at the Spui in The Hague. The book The Refugee Jackpot is published by Post Editions in English and in Dutch. The Dutch edition is for sale in the bookstore, the English edition can be ordered at Post Editions. The book can be ordered here. FOTODOK developed two educational programmes as part of The Refugee Jackpot. The combination of photo’s and written text is the starting point to introduce the themes identity and displacement to the children.